I love voting. Even if the candidates I support tend to be underdogs who wind up in the opposition, I’m positively giddy walking into my local balloting station, placing the colored slip into the voting envelope and dropping it in the flimsy cardboard box (that hopefully will be replaced someday by iPads and the cloud). The flip side of my plebiscital joy is the depression that descends when my guy or gal inevitably loses. That’s how I woke up last Wednesday morning to the news that Moshe Lion had beaten Ofer Berkovitch in Jerusalem’s runoff race for mayor. The stakes were high: Lion was portrayed across my social media echo chamber as the devil incarnate (an ironic appellation, given that’s what Lion backer MK Arye Deri name-called his opponent). When it was clear Lion would become mayor, my online friends were despondent. All the pluralistic gains of the Barkat years will be lost, they wailed. The First Station will be shut down on Shabbat. The Pride Parade, too. Lion will only work for the thin majority that voted for him. Some even wondered if it was finally time to consider moving to Tel Aviv. Some in the Berkovitch camp chastised the non-ultra-Orthodox public for its apparent apathy. That’s not what I saw in my admittedly small familial sample – everyone in the Blum household voted, including our soldier son who spends his days in Tel Aviv and our daughter and son-in-law who dodged missiles to drive home from Hamas-targeted Sderot in time to cast their ballots. But the 31 percent citywide turn-out was certainly not as high as it could have been. Even before the votes were tallied, I was not entirely comfortable with all the alarmism. Will it really be so awful with Lion? I found myself asking anyone who would listen. Was it possible that the doomsayers were mostly playing politics, emphasizing the worst to bring out the vote? I desperately want to see the good in Jerusalem’s new mayor. I want to believe that he will deliver on his campaign slogan of being a mayor for all the city’s residents. That his years of managerial experience in both the private and public sectors will allow him to effectively head Israel’s largest city with its NIS 9 billion annual budget. That he will know how to work with the national government to avoid the kind of financial showdowns that have plagued Jerusalem in the past. 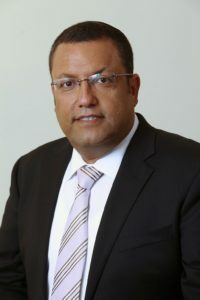 Most of all, I want to believe that, just because Lion has the backing of some of the more crooked politicians in the Knesset, it doesn’t mean he will obey their every word once he’s installed as mayor; that he can still be an independent thinker with the best interests of the city’s citizens at heart. I want to give him the benefit of the doubt. That won’t be so simple. Our brains are wired for suspicion. Psychologists have a name for it: the “negativity bias.”The part of our brain that governs this negativity, the amygdala, “uses about two-thirds of its neurons to look for bad news,” explains Rick Hanson, founder of the Wellspring Institute for Neuroscience and Contemplative Wisdom. We were built this way over millions of years of evolution. That’s why animals in the wild interpret any rustle in the woods as a potential predator. Failure to take into account the worst case scenario too often results in a tiger’s tasty lunch – at your expense. Trying to see the best in someone, especially someone in public office, takes work. We have to fight our natural negative inclinations. The current legislative climate – both in Israel and the U.S. – where politicians have enthusiastically been confirming many of our greatest fears, doesn’t make that any easier. Yet, I feel cautiously optimistic about Lion. Have I somehow magically transcended humanity’s default negativity bias? There’s another reason to remain positive. Democracy in Israel still works. Yes, there were alleged improprieties in the months leading up to election day, far too many “fake news” texts and the awkward bedfellows that always accompany politicians (especially those who win). But no one “stole” the election. To the best of our knowledge, Russians didn’t hack the Jerusalem mayor’s race. Ofer Berkovitch ran a strong campaign that was well-executed and generally clean. That led to his Hitorerut party winning an unprecedented seven seats – the largest on the new city council. Moreover, Berkovitch isn’t going anywhere. He’ll get another shot at the top slot and, if Lion does take the city to a dark place, that will provide all the more impetus to vote the incumbent out of office in 2023. But I hope that’s not the case. I’m actually rooting for Lion to be the “mayor of everyone.” So surprise me – surprise us all – Moshe Lion and upend the human propensity for negativity. We’ll talk again in five years. I first wrote about the 2018 Jerusalem elections in The Jerusalem Post.